Hi Bonnie! I'm here via A-Z. Gorgeous photo of the black forest. I've always wanted to travel to Germany. It's on the list! I like all your Gs. Especially Gouda, and I like the Goat Gouda as it is especially good. Wait, music with no wine or food? 50 foot QE, I have not tried goat Gouda but I have tried sheep Gouda. It was also very tasty! Jeremy Bates, oh, yes there is wine and food! P.S. I have followed you all back! 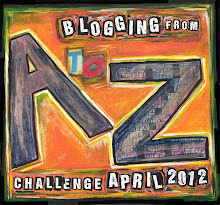 Thanks for supporting the A to Z challenge! Enjoy! It makes me happy to have visited/watched/read/tasted what you've posted. On the G posting, I have 4 of the 7 covered! Germany on my list of places to go too. You are doing a good job of promoting it! Enjoyed this post.